The first organization was founded in 2002 by the passions and dedication of one amazing woman, Pom Khampradith and her first five students who later became co-founders. It was a Laotian dance troupe called, Kinnaly, named after the celestial creature that is half bird, half human. 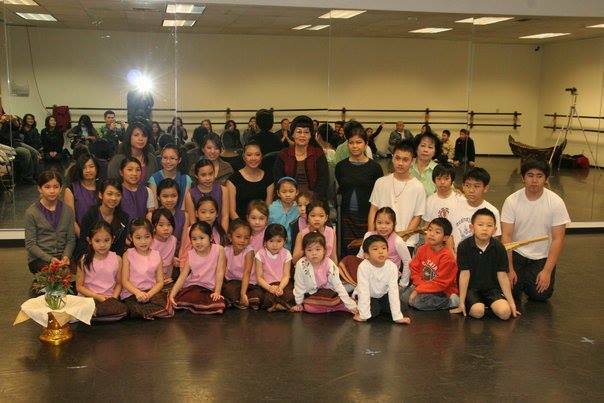 Over the years Kinnaly grew tremendously and Lao Heritage Foundation was created and became the parent organization to foster the growth. 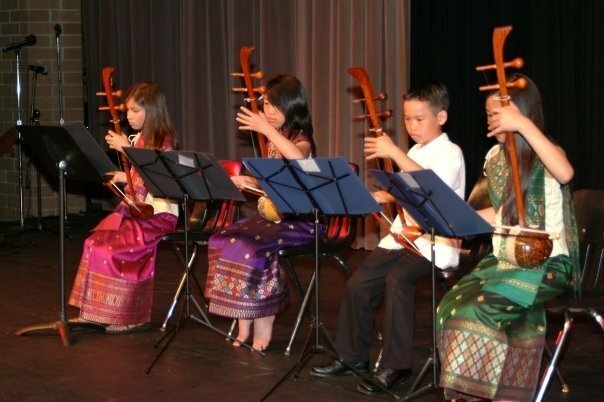 Together Lao Heritage Foundation & Kinnaly added Lao music classes, cultural exchange programs, Lao talent shows, Lao summer camps, and educational summits to continue to expand their mission. With the passing of Pom Khampradith, the Seattle chapter of Lao Heritage Foundation separated and rightly formed as Pom Foundation. Pom Foundation, continues on their late founder's legacy and works to build on what she started over 15 years ago. Pom Khampradith (green) with her first five students (left to right) Latana, Olivia, Katherina "Poupee", Phonetip & Kathy, 2002. We are a tax-exempt 501(c)(3) non-profit organization whose mission is to preserve, foster, transmit, and educate about Lao arts, culture, and traditions. 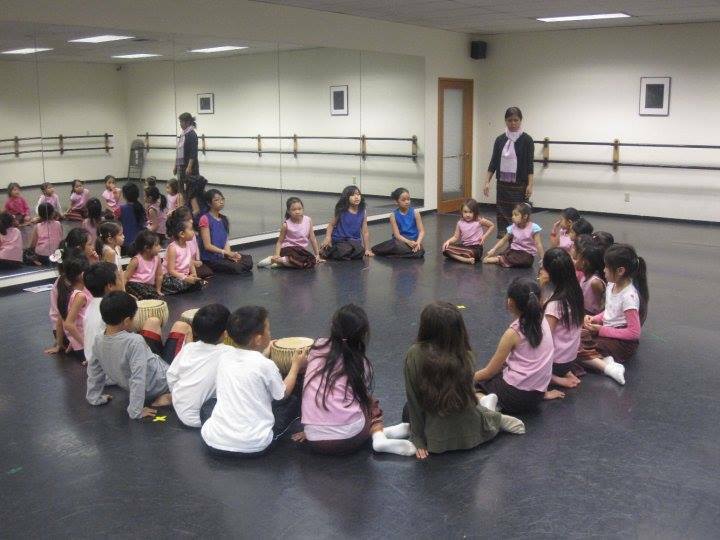 The Pom Foundation holds cultural programs, art exhibitions, educational panels and workshops, and events open to the public that educate and transmit Lao culture. Pom Outama Khampradith created Kinnaly Dance Troupe. The original troupe comprised of five young girls. 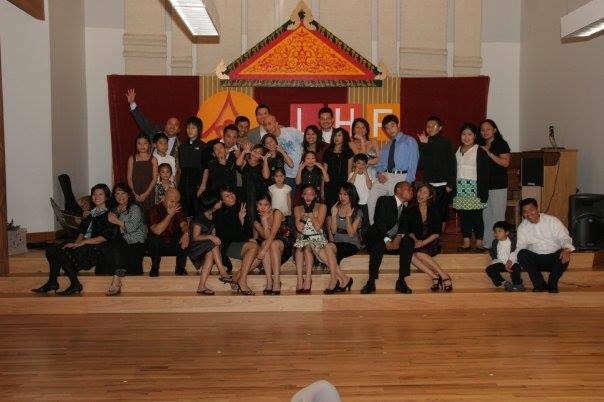 The Lao Heritage Foundation Pacific Northwest Chapter was formed. With this formation, the Kinnaly Dance Troupe became a program of this new chapter. The Kinnaly Dance Troupe added traditional music and the group name was changed to Kinnaly Lao Traditional Music and Dance Troupe. This name is still being used in 2016. This was also the first year of the Lao Summer Camp and Forte. 1st Annual Cultural Exchange, where students and parents from the U.S. visited Laos and learned from the masters at the Lao National School of Music and Dance. 2nd Annual Cultural Exchange, masters from the Lao National School of Music & Dance traveled to Seattle and Washington D.C. The group consisted of four (4) music masters, two (2) dance masters and one (1) official. 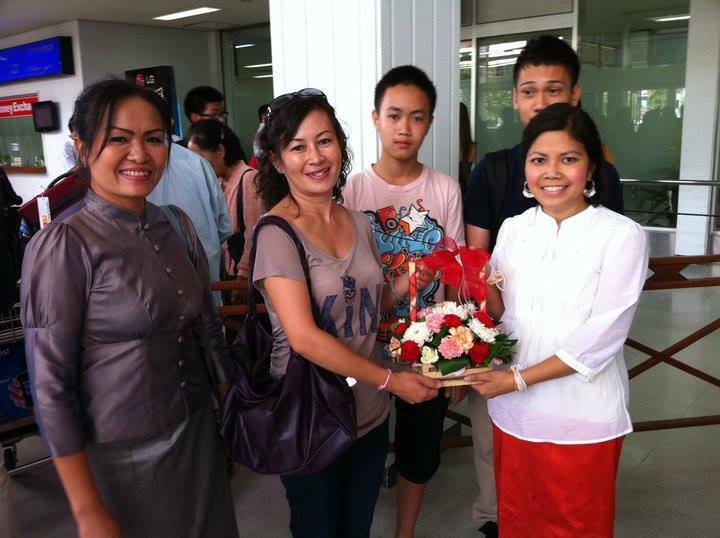 3rd Annual Cultural Exchange: Students and parents return to Laos for the second time. This time the group was much larger, consisting of 26 students and 19 adults. 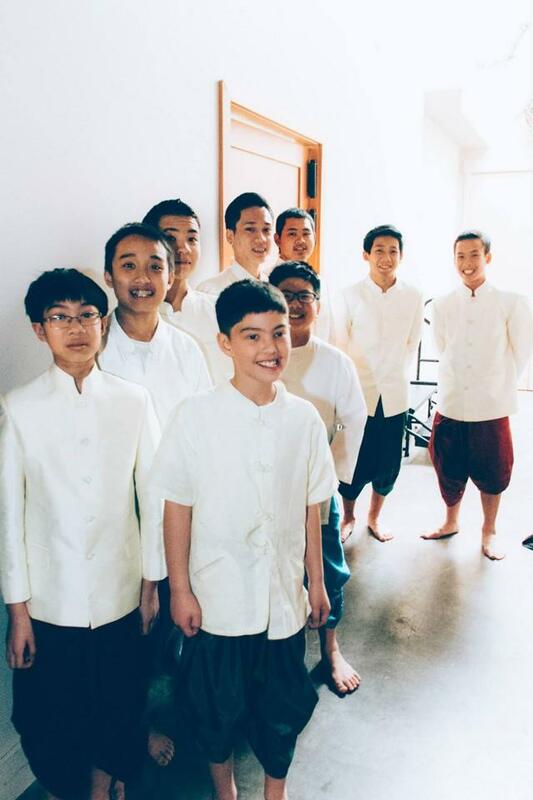 4th Annual Cultural Exchange: Professors from the Lao National School of Music & Dance returned to Seattle to teach at the 7th Annual Lao Summer Day-Camp. Chittraphone Outama Khampradith Foundation (Pom Foundation) was formed. With the passing of the founding person, the Pacific Northwest team decided to start new foundation under a new name. The goals and objectives remain the same. 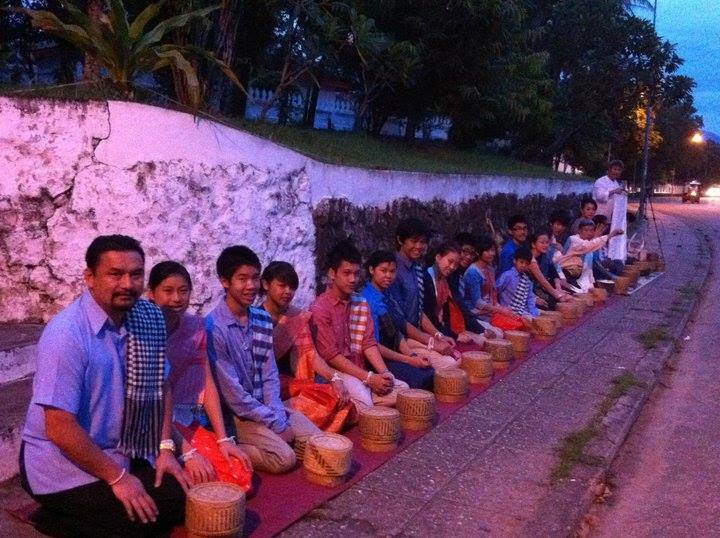 5th Annual Cultural Exchange: Students and parents returned to Laos for the third time. The group consisted of eleven (11) students and eight (8) adults. 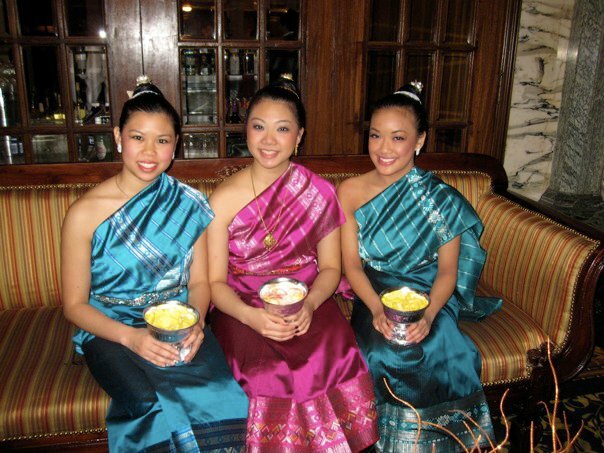 Three (3) masters from the Lao National School of Music & Dance return to Seattle to teach at the 9th Annual Lao Summer Day-Camp. Visit from H.E. Ambassador Mai Sayavongs, Madame Sayavongs and First Secretary Bounthala Panyavichith. 6th Annual Cultural Exchange: Four (4) masters from the Lao National School of Music & Dance, two (2) music masters and two (2) dance masters, return to Seattle to teach at the 10th Annual Lao Summer Day-Camp.